Usher Gets Over Excited At Silverstone | HU17.net – It’s all about Beverley! 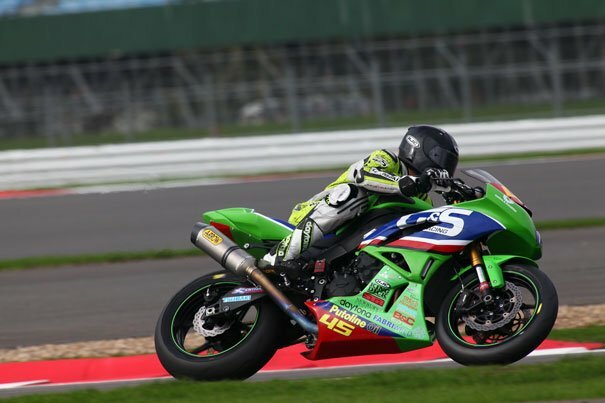 Wyberton based G&S Racing Kawasaki returned from Silverstone with just one championship point for their troubles as they contested the penultimate round of the National Superstock 1000 and 600 classes on Sunday. Tom Fisher completed his 600cc race in 15th position while Dominic Usher was unlucky to crash out of the 1000cc event when running in a strong 11th place. Nottingham riderTom Fisher was running well throughout free practice and qualifying and began his campaign from a fourth row grid position in 11th place. But on the very first lap a number of riders crashed and the race was red flagged and put back on the agenda to a little later in the day and reduced from 10 to seven laps.As they finally got underway again Tom gained ground in the early laps before being pushed wide onto the astroturf. He dropped back to 13th and then was pushed back again to finish the race in 15th position to bring just a solitary championship point back to the team. 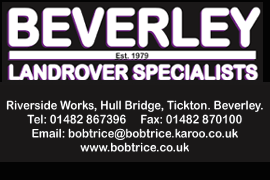 Dominic Usher from Beverley was on fire all weekend, completing his qualifying in a strong ninth place. Starting from a third row grid position in the Superstock 1000 race he was unfortunate to get bumped off the track on the first lap. But he regrouped and finished the lap in 14th place. By lap six he was up to 11th and looking to move into the top 10, but was a little too eager and slide off into the gravel, race over. 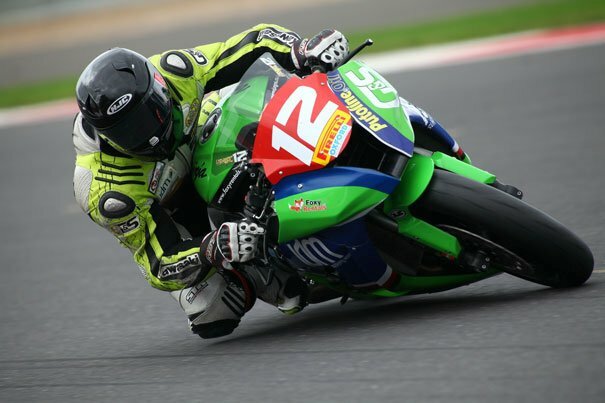 The final round is at Brands Hatch on October 20 when both riders will be hoping for a strong end to their campaign.